Petit mal seizure in children may sometimes be under-diagnosed because in the seizure the child only have a staring spell and he or she is zoned out for a few seconds which does not come into notice. During absence seizure they have an alteration in loss of consciousness so the patients do not experience anything like pain and also they do not show any abnormality in their behavior. Petit mal seizure is different to the other kinds of generalized seizure including grand mal seizure which is known as the most dramatic seizure. Epileptic seizures occur due to the excessive synchronous movements of neurons in the brain. These types of seizures occur due to a sudden pause in the brain functioning. The patient may be talking or working on something and eventually unable to continue. With alteration in loss of consciousness the patient flutter his or her eyelid, loses control over his or her hands and mouth. The seizure of petit mal lasts only for a few seconds. And once it is over, you will not find any sign of its occurrence. Many times, the patient even has no memories of seizure. While you witness any sign of seizure in your child make an immediate appointment with the doctor to share your child’s seizure experience. Describe everything in detail so it will become easier for the doctor to recognize the type of seizure and prescribing the treatment accordingly. 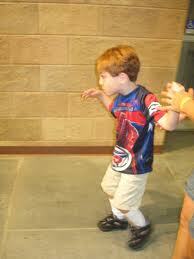 The doctor will also perform a few medical tests to rule out any underlying cause of the seizure. There might be something more dangerous mimicking seizure’s symptoms and that is way a medical check-up is must with the sign of seizure. A through examination confirms appearance of seizure and its type. Series of blood test help diagnose a chemical imbalance or presence of toxic substance in the body causing seizure. After the blood test, doctors may suggest you for an electroencephalography to identify any transit and unexpected electrical disturbance in the brain. Epileptiform activity shows results in spikes, spike-slow waves and sharp wave’s patterns. 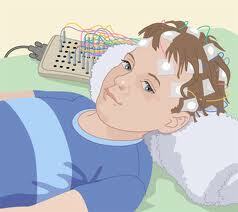 In petit mal seizure the EEG shows spike-slow waves with frequency of 3 Hz. To identify stroke, blood clot or brain tumors doctors perform an MRI and CT scan that examine the brain tissues in high resolution to rule out any damage or injury in them. Once the type and possible causes are diagnosed, it is easier to cure and restrict its possible occurrence. Medications are usually based on the condition of the child, his or her age and the adherence with the application of the medication. Your child may refuse taking medicines. Being a parent it’s your duty to convince your child for a regular dose of medication. Regular medication will control or completely eliminate seizure from his or her life. Results of the medication may different from person to person. Some react faster then others. One has to be regular on dosages and schedule for the treatment prescribed by the physician.